The dwellings, current or of former times, that characterize a given culture. Rudimentary dwelling made from tree branches and straw. Dwelling of African countries, usually made of straw and clay and covered with a straw roof. Portable dwelling of the nomadic peoples of central and northern Asia composed of a wooden frame covered with felt. 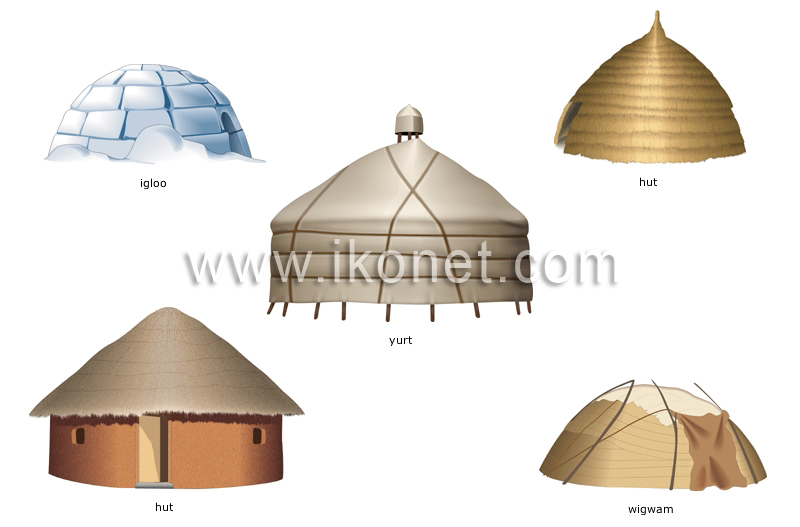 Round or oval dwelling of North American Indians made of poles covered with bark, matting and skins. Dome-shaped Inuit dwelling made of blocks of snow or ice.